Congratulations you found this thread. From now on, we will update the product discount information on this thread. You just found a money-saving zone for yourself. Let's take a look at what we bring you today! 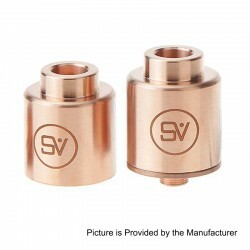 The Sod 5K RDA Clone is constructed from copper in 22mm diameter. It features unique triple post deck for easy coil building, deep juice well and side adjustable airflow. 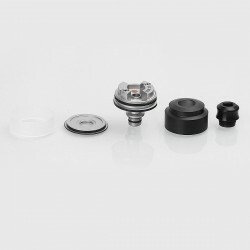 The RDA comes with replaceable top cap and 510 drip tip. The SXK Vengeance RDA Clone is constructed from stainless steel in 22mm diameter. The RDA comes with quad post for dual coil build. It features bottom adjustable airflow with 4 airholes on the AFC ring. No o-ring design is easy to maintenance. 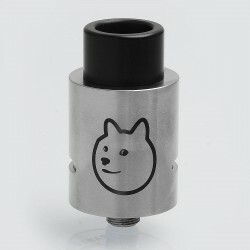 Doge V3 RDA Clone is construction from stainless steel in 22mm diameter. The RDA features quad pole build deck for single or dual coil building and side adjustable airflow. The sleeve has dual airslots and Doge logo and text on it. POM wide bore drip tip is included. The mod kit consists of VGOD Pro Mech Hybrid Mechanical Mod Clone and VGOD TrickTank Pro RDTA Clone. With stainless steel construction and aerospace grade carbon fiber encrusted button (spring type), the Pro Mech feels good in hands.The mod is 24mm in diameter, and features self-adjusting copper battery contact. It has engraved VGOD logo on one side, and five vent holes on another side. Pro Mech is powered by 1 x 18650 battery (not included). The Tricktank PRO style RDTA features a large dual post style rebuildable deck for easy dual coil installation. Constructed from stainless steel and glass tank, The RDTA also features a 4ml e-juice capacity with a convenient side fill hole and large dual airflow channels that feed directly towards the coils for a constant and direct coil airflow, providing maximum flavor and massive vapor production. The VGOD Elite Mechanical Mod Clone features a "flare grip" chassis with hard hitting copper construction. A 510 hybrid connection, copper contact, along with a copper framed aerospace grade carbon fiber switch, ensures you get the maximum voltage performance and look good while doing it. The VGOD Pro RDA Clone features 24mm diameter with a dual vertical post design with 2-holes per post for an easy and well-designed post set-up. 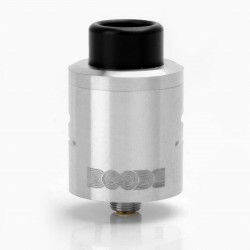 The VGOD Pro Drip RDA Clone features a durable stainless steel construction as well as unmatched precision when designing the RDA to ensure a flush and un-compromised fit. Featuring dual bottom airflow with direct coil flow ensures a flavorful and vaporful experience every time. A low profile e-juice well is implemented to ensure no over-dripping will leave your RDA. The mod kit consists of VGOD Pro Mech Sytle Hybrid Mechanical Mod and VGOD TrickTank Pro Style RDTA. Enjoy promotion price ($20.99) by adding this item to shopping cart. Wholesale price (listed below) will also be discounted. 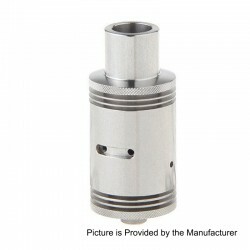 The Original GAS Mods Nixon V1.5 RDTA is a mini size RDTA and features invisible airslots. The airslots will appear once you rotate the top cap clockwise and the airflow can be adjusted in this way. The deck features dual post for single coil build. The refilling holes are near the post with very small size, but the RDTA also support squonking. 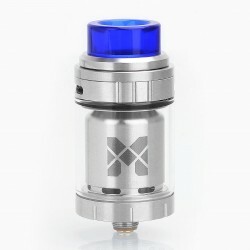 The tank comes with 510 POM drip tip.This item also has many color to choose. The Eleaf iStick TC200W is powered by three 18650 cells (not included), It delivers a huge amount of vapor at 200w maximum output. The iStick TC200W packs with upgradeable firmware and TC(Ti/Ni/SS/TCR)/VW modes for your preference. In addition to the unique design of flip-open battery cover, the innovative streamlined shape with metallic finish also makes the iStick TC200W fashionable in appearance and comfortable for grip action.This item also has many color to choose. The Original Eleaf iStick Pico RDTA Kit is an intuitively designed all-in-one style setup, presenting the same excellent performance as the popular iStick Pico and an innovative rebuildable dripping tank system in a compact yet stylish package. The tank can easily be refilled by a large fill port on the base and has an internal light that helps check e-liquid level. A removable dual post deck, an 8-hole adjustable and extensive airflow, a wide bore drip tip and an easy wicking system all make the iStick Pico RDTA a must-have for all build enthusiasts to enjoy vaping to the most.This item also has many color to choose. 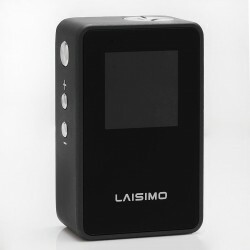 Original Sigelei Laisimo V80 has 1.3 inch colorful screen, which displays all the main information, including output wattage, output voltage, atomizer resistance, real-time temperature and remaining battery life.This item also has many color to choose. 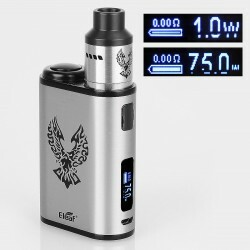 The Eleaf iStick Pico Mega, an upgraded version of iStick Pico, is compatible with both 26650 and 18650 cells (not included). It is updated with the new firmware which features a simpler interface for VW mode, a Smart mode for easy operation and a custom logo for fun. The iStick Pico Mega also comes with many attractive colors for your choice.This item also has many color to choose. The SXK Stingray Mechanical Mod Clone is constructed from stainless steel with copper battery contacts. The outer diameter is 30mm and inner is 26.8mm. It is powered by 1 x 26650 battery (not included). The mod comes with magnetic bottom fire button, engraved logo and series number on the tube.This item also has many color to choose. The mod will be shipped with random pattern (2 patterns). The Eleaf iStick TC200W is powered by three 18650 cells (not included), It delivers a huge amount of vapor at 200w maximum output. The iStick TC200W packs with upgradeable firmware and TC(Ti/Ni/SS/TCR)/VW modes for your preference. In addition to the unique design of flip-open battery cover, the innovative streamlined shape with metallic finish also makes the iStick TC200W fashionable in appearance and comfortable for grip action. The SXK Paragon V3 Style Mechanical Mod is constructed from aluminum with carbon fiber ring. It comes with silver plated brass battery contacts. The contacts on the top cap are adjustable to both directions. The venting holes are positioned at the top cap for battery safe. The mod comes with bottom spring fire button and is powered by 1 x 18650 battery (not included). The SXK CLT-2 Plus Style RDA is constructed from stainless steel in 22mm diameter. The build deck features quad pole design for dual coil build. The middle airflow is adjustable by dual airslots and dual airholes on the chamber. 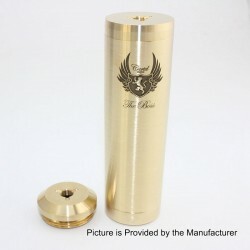 The RDA comes with fixed wide bore drip tip and adjustable copper center pin. Series number is on the bottom side. The SXK Cartel Style Mechanical Mod is constructed from stainless steel with silver plated copper contacts for better conduction. The contacts on the top cap are screw adjustable. 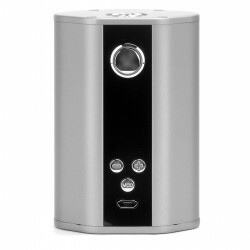 The mod comes with bottom spring fire button and is powered by 1 x 26650 battery (not included). An extra top cap is included. The SXK Stingray Style Mechanical Mod is constructed from stainless steel with copper battery contacts. The outer diameter is 30mm and inner is 26.8mm. It is powered by 1 x 26650 battery (not included). 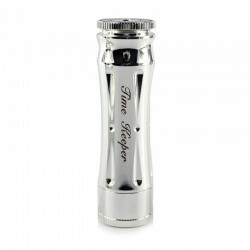 The mod comes with magnetic bottom fire button, engraved logo and series number on the tube. The SXK Cartel Style Mechanical Mod is constructed from brass with silver plated copper contacts for better conduction. The contacts on the top cap are screw adjustable. 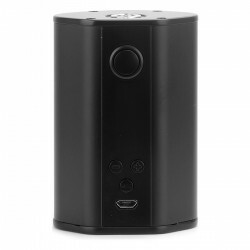 The mod comes with bottom spring fire button and is powered by 1 x 26650 battery (not included). 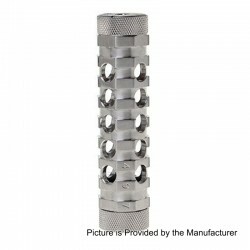 The Kindbright AR Mechanical Mod Clone is made from stainless steel with 4 rows of venting holes on the tube. The battery contacts are made out of stainless steel. The mod is powered by 1 x 18650 battery (not included). 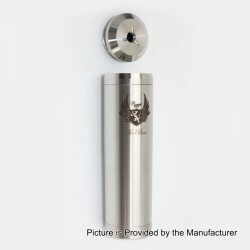 The Kindbright Mad Dog mechanical mod Clone is made by brass and powered by 1 x 18650 battery. 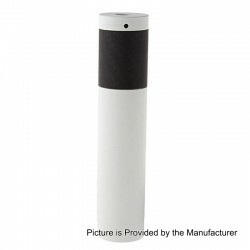 The mod is with hybrid mechanical tube. 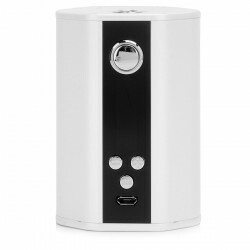 The mod is highly efficient and suffers from very minimal voltage drop. The Kindbright VCM Stacked mechanical mod Clone is constructed from stainless steel. It is powered by 2 x 18650 batteries (not included). With the thin and long mod body, the VCM Stacked style mechanical mod will be easy to carry. When you put 2 pieces 18650 batteries, the VCM Stacked style mechanical mod will surely bring you wonderful vaping experience!This item also has many color to choose. 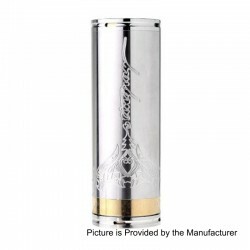 The Kindbright VCM Style Mechanical Mod is constructed from copper tube and brass caps. There are air holes on the top cap and the tube to prevent the battery from overheating. It is powered by 1 x 18650 battery (not included).This item also has many color to choose. The Kindbright X1 Mechanical Mod Clone is constructed from stainless steel tube and brass caps. There are air holes on the top cap and the tube to prevent the battery from overheating. It is powered by 1 x 18650 battery (not included).This item also has many color to choose. The Kindbright AV Revolver Timekeeper stainless steel mechanical mod Clone is a hard hitting, competition mechanical 18650 mod. 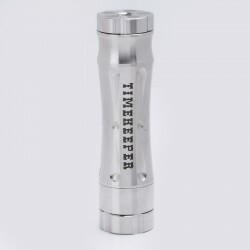 The Timekeeper style mod is precision machined with state-of-the-art CNC machines, made out of stainless steel.This item also has many color to choose. The Kindbright Deadwishes crossbones mechanical mod Clone is a one piece 26mm tube with hybrid connection. The switch comes out for you to put the battery inside and the switch has an isolated spring inside (the spring does not conduct any current).This item also has many color to choose. The Kindbright Timekeeper V2 mechanical mod Clone is made from Brass. The adjustable brass bottom-fire button with opposing earth magnet will be very easy for you to use.This item also has many color to choose. 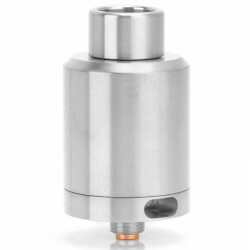 The Kindbright Glacier V2 RDA Clone is a rebuidable dripping atomizer features 23mm diameter. The Glacier V2 style RDA features a velocity style deck, 2.5mm post holes and a huge juice well. With the unique 32 holes adjustable airflow system, this Glacier V2 style RDA will bring you great vaping experience!This item also has many color to choose. The Kindbright DOODE RDA Clone is with a unique and elegant deck. There are two positions for the mounting of the coils. The wires are inserted into the posts from above and fixed by simple rotation. 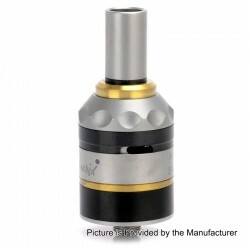 The collet inserts inside the post can be removed and exchanged for another. 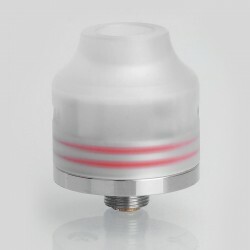 The adjustable airflow control is via the top cap and supports dual coil build.This item also has many color to choose. The Kindbright X1 RDA Clone is a 24mm RDA with a quad post design, and adjustable bottom airflow. The X1 Style RDA is adjustable bottom airflow design, allowing you to fine tune your airflow.This item also has many color to choose. 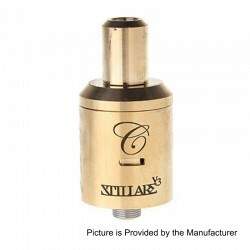 The Kindbright Kennedy 25 RDA Clone is made from brass with 1:1 construction. The Kennedy 25 style RDA comes with dual-post design, easy to build. 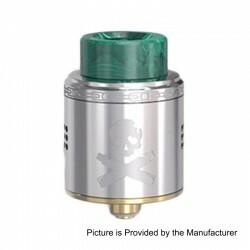 The kennedy 25 style RDA features 25mm diameter, this will offer larger build deck then will bring you wonderful vaping taste.This item also has many color to choose. 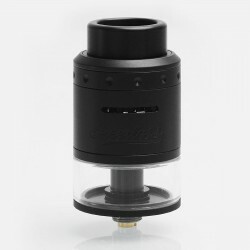 The Kindbright Kennedy 24 RDA Clone is a rebuildable dripping atomizer with 24mm diameter. It is made from stainless steel. 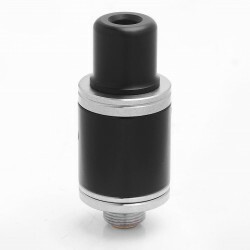 This RDA comes with triple posts.This item also has many color to choose. 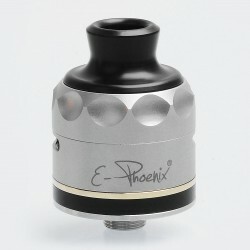 The Phoenix Fire Bird style RDA is constructed from 316 stainless steel with 22.5mm diameter. This RDA comes with triple poles design for single or dual coil build. The airflow is adjustable with 2 side airslots on the cap. The RDA comes with small bore drip tip for denser flavor. 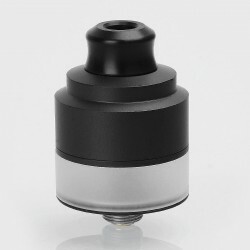 The YFTK Strike RDA Clone is designed and developed to give you a unique vaping experience with its unique diameter. Coiling is very simple thanks to the central floating central pin, which allows the creation of multiple types of setups, either with central or lateral coil. The YFTK Viper V2 RDA Clone is a bottom feeder RDA constructed from 316 stainless steel and in 14mm diameter. Featuring dual-post design, this RDA supports single coil set up only. The Original Smokjoy SV All-in-One Starter Kit comes with built-in 1100mAh battery and 2ml capacity. Equipped with USA imported CPU, the kit will perform stably with full power output. 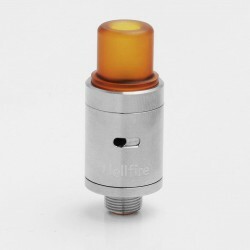 The atomizer features adjustable airflow and heat resistant Ultem drip tip. The SXK Stillare Storm V3 RDA Clone is constructed from brass (cap) and stainless steel (base) in 22mm diameter. The build deck features quad post design and has a lot of space for building. The middle side airflow is adjustable with triple airslots on the cap. 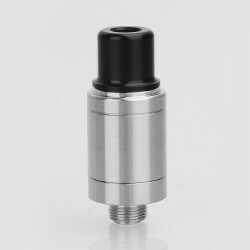 Removeable 510 drip tip is included. The logo is laser engraved on the cap.This item also has many color to choose. Enjoy promotion price by adding this item to shopping cart. 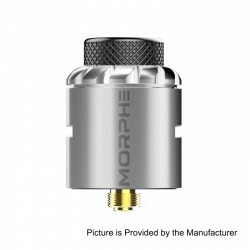 Wholesale price (listed below) will also be discounted.The Original Tigertek Morphe RDA is a 24mm diameter dripper that adopts the innovative Screwless coil building system for super easy building, like the other Screwless products from Tigertek. The deck features dual post, which is gold plated for better conductivity. Just a simple press, the post hole will appear and insert the coil then release the post to finish the building. the airflow is adjustable by the dual airslots on the sides of the cap.This item also has many color to choose. 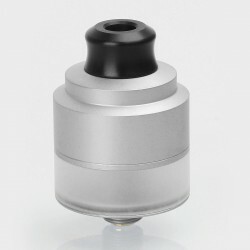 The Original Oumier Wasp Nano Mini RDA is constructed from stainless steel (base) and PC (sleeve) in 22mm diameter. The RDA features large build deck and unique coil-locking design for single coil build. It has direct side airflow design to ensure fabulous vaping experience. The Phantohm Mechanical Box Mod Clone is a mini size mod with 6.5ml soft bottle inside for squonking. The shell is constructed from ABS and the contacts are copper made. The mod can be used with 22mm to 24mm diameter atomizers. It is powered by 1 x 18650 battery (not included). This mod is compatible with the Hidra bottle. Please Note: This mod only supports flat top batteries. The SXK E-phoenix Resurrection V2 RDA Clone is constructed from 316 stainless steel in 22.5mm diameter. It is mini sized but can provide rich flavor. It features gold plated deck with dual posts for easy coil building. It comes with removable wide bore drip tip. Enjoy promotion price by adding this item to shopping cart with Code MAP17816. Wholesale price (listed below) will also be discounted. Please note: this RDTA is standard version with 4ml capacity. 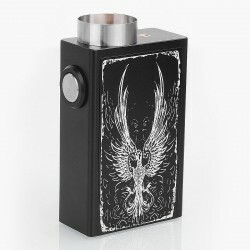 The Fire Phoenix squonk box mod Clone utilizes new squonking system that you could just feed the atomizer by pressing it down rather than squeezing the bottle itself. The glass bottle is capable of holding about 4ml e-juice. The aluminum material and round corner design makes the mod feel really comfortable in hands. It is powered by a single 18650 battery. It comes with 24mm adapter ring (pre-installed) and a spare 22mm adapter ring (please take off the ring if using other size atomizer). Enjoy promotion price by adding this item to shopping cart with Code MAP18068. Being highly recommended as one of the best MTL atomizers, the Siren has been upgraded to provide a more precise MTL experience. Siren 2 is aiming to provide a closer sensation to smoking cigars and conventional cigarettes. Major improvements compared with the previous Siren: a smaller airflow slot added to offer accurate MTL vaping; build deck upgraded to have wider range of coil compatibility; whistling sound eliminated; turbulent airflow eliminated; and two different 510 drip tips are included. 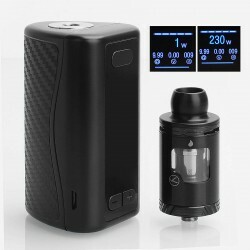 The mod kit consists of IKEN 230W mod and IKEN Tank. The IKEN Tank uses the latest ""U"" airflow technology. Airflow goes to the bottom through top airslots and is redirected to the coil head. After 3 months and 500 rigorous independent tests, the tank remained leak free. 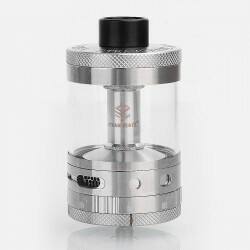 The tank also features convenient top filling design, 4ml capacity and compatibility with SSOCC coils. 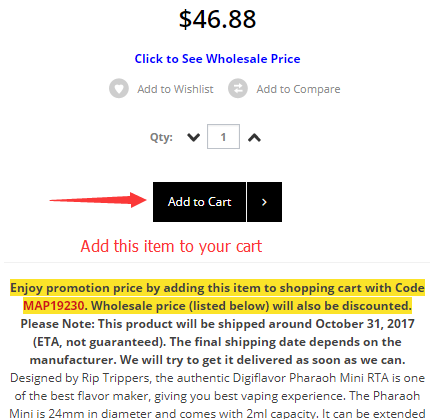 Original GAS Mods Nixon V1.5 RDTA Rebuildable Dripping Tank Atomizer w/ BF Pin $20.99 after add to cartThe authentic GAS Mods Nixon V1.5 RDTA is a mini size RDTA and features invisible airslots. The airslots will appear once you rotate the top cap clockwise and the airflow can be adjusted in this way. The deck features dual post for single coil build. The refilling holes are near the post with very small size, but the RDTA also support squonking. 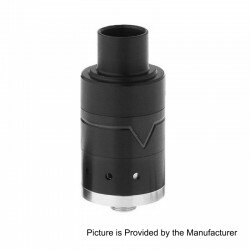 The tank comes with 510 POM drip tip.The RDTA comes with bottom feeder pin. Series number is on the bottom (wiped, not shown on the image).Please Note: The RDTA supports airflow via screw up the top cap. And please be careful because the top cap is Reverse threading. 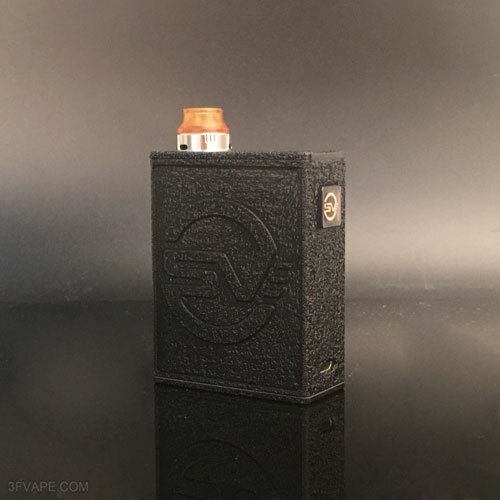 Hammer of God V3 Mechanical Box Mod Clone $32.99 In StockThe Hammer of God V3 (HOG) Style mechanical box mod gives you the hard hitting vape of a series mod but the safety of a parallel circuited device. It truly is the best way to finish the legacy of the Hammer of God Box Mod. 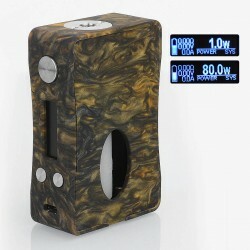 This box mod is powered by 4 x 18650 batteries in parallel series configuration. The Original Hcigar VT Inbox 75W TC VW Box Mod is powered by Evolv DNA75 chip from USA, making it easy to operate and the maximum output can reach to 75W. Using single high-rate 18650 battery, it can be charged directly via USB or replacing the battery to achieve duration. The USB port is not only for charging, but also for connecting to computer to customize through Escribe software. VT Inbox is also squonk-friendly with inner 8ml bottom feeder bottle. The Original Aleader squonk bottle is constructed from aluminum frame with silver plated pin and silicone bottle. It is designed for mechanical mod. The connector is 25mm diameter and the bottle comes with 7ml capacity. Simple installed it between your mod and atomizer and just enjoy squonking with your mechanical device. The Original Geekvape Athena Squonker Kit consists of Athena Squonk Box Mod and Athena BF RDA. The Original SMOK TFV12 Prince Tank from SMOKTech is not only a powerful one but also an all-round sub ohm tank for daily use. The tank adopts 3 newest coils: V12 Prince Q4, V12 Prince X6 and V12 Prince T10, all of which have huge cloud and extremely dense flavor. It also has newly designed crown-style body and colorful Cobra resin drip tip. Besides, it uses convex glass tube, which effectively enlarged the capacity to 8ml. 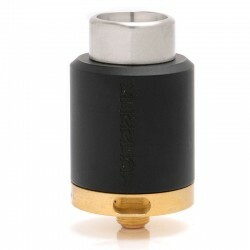 The Original Advken Artha RDA is a 24mm diameter dripper with compact size. The deck is 24K gold plated with dual post design for easy building. The deep juice well can hold more e-juice. The airflow can be adjusted by dual airholes on the cap. 810 drip tip is included. Vandy Vape brings its first leak-proof mesh RTA to us. 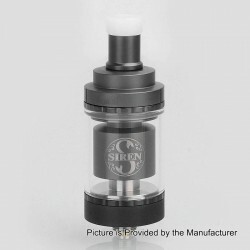 The Mesh 24 RTA comes with 24.4mm diameter and adopts mesh wires, which will provide best flavor. 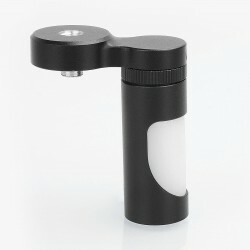 The RDA adopts Nifty slide-out top fill system, which makes refilling really convenient. The airflow blows onto mesh wire directly through top airslots. Resin, Ultem and Delrin drip tip are included. 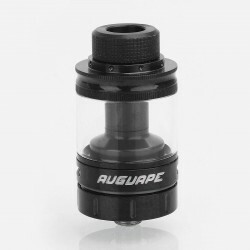 The Original Augvape Boreas V2 RTA is constructed from stainless steel in 24mm diameter. It features interchangeable chimney tube adapter to change the e-liquid capacity from 2.5ml to 5ml. The deck features velocity style dual post deck for easy building. Boreas V2 RTA comes with angled upwards airflow for nice flavor. Airflow accesses the tank via dual adjustable bottom airslots which can be fully closed. 810 Derlin drip tip and 510 adapter are included. 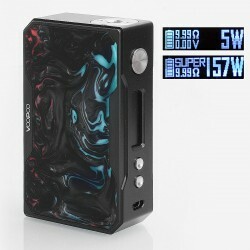 The Original Voopoo Drag 157W TC VW Variable Wattage Box Mod is made from zinc alloy and powered by 2 x 18650 batteries (not included). It features Super Mode, which will be activated automatically under 130W wattage. Also it features fastest fire speed, 0.025s only. G-PRIV2 is an advanced version of G-PRIV, a new touch-screen kit from Smok. Compared with G-PRIV, it has a slimmer body and upgraded user interface, with which you can get comfortable hand-feel and a clearer screen with higher definition. simple and streamlined body of G-Priv 2 is ergonomically designed, which can give you comfortable hand feel. Powered by dual 18650 batteries, G-Priv 2 can reach up to 230W. Innovation keeps changing the vaping experience! The Original Aleader Box Killer 80W BF Squonker is a squonk box mod with temperature control and wattage regulation function. 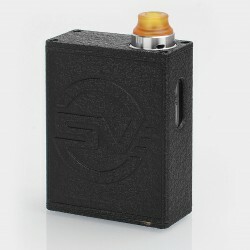 Powered by 1 x 18650 battery (not included), the mod is capable of outputting for maximum 80W. The TC mode can adjust temperature at a range of 93~315'C / 200~600'F. It supports Ni200, titanium, stainless steel 316 wires in TC mode. The squonk bottle comes with 7ml capacity, making it convenient as there is no need to refill frequently. Please Note: The manufacturer made the product with a little flaw on the right middle inside frame (Please see the second, third and fourth image). They are unable to solve this problem. So we will give an extra oil bottle (worth: $3.99) as gift. 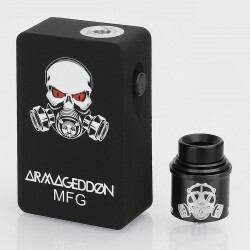 The Armageddon Style Squonk Mod Kit consists of Armageddon Style Squonk Box Mod and Apocalypse Style RDA. The Armageddon Squonk Box Mod Clone is constructed from ABS (chassis) and PC (back panel) with copper contact for better conductivity. The built-in bottle is made from super soft silicone and is capable of holding about 6ml e-juice. The front panel comes with magnets and is replaceable. This mod is powered by a single 18650 battery (not included). The Apocalypse RDA Clone is with clamp design and has a massive space in each clamp which provides space for mounting the most complex and insane coil builds. Coupled with the deep juice well, wide build deck, durable post clamps and extended post screws, the RDA is a builder's dream. The YFTK Speed Revolution Mini RDA Clone is constructed from 316 stainless steel in 14mm diameter. The deck is dual post design for single coil building. The cap has a single airhole for side airflow. 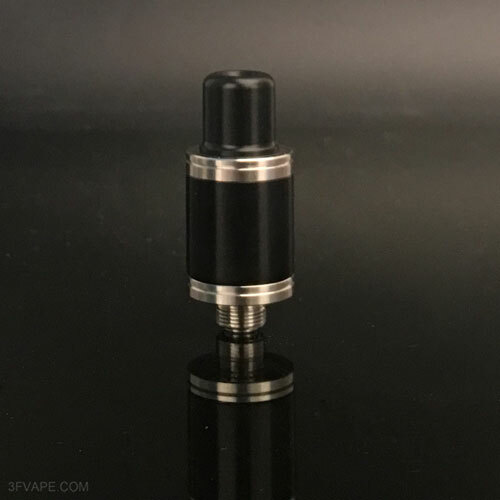 The POM drip tip is heat resistant for protecting your mouth from heat. This RDA comes with bottom feeder pin for squonk ready. There is no replacement center pin for the RDA. Designed by Rip Trippers, the Original Digiflavor Pharaoh Mini RTA is one of the best flavor maker, giving you best vaping experience. The Pharaoh Mini is 24mm in diameter and comes with 2ml capacity. It can be extended to 5ml with spare glass tube. The interchangeable build deck design allows more options of building for you. The Original Vandy Vape Bonza RDA is a 24mm diameter dripper adopts innovative Fixed screw clamp post to make coil building much easier. The juice well is deep enough to hold about 2ml e-juice. The cap comes with 24 airholes on both side (12 per side) for side airflow control. Food grade resin drip tip and Delrin drip are included.